cyber Monday & two giveaways! Hello all & happy Monday! Has everyone recovered from the holiday festivities? Did you do a little shopping? Personally I have, but of course, I have been sick since Friday with some allergy related sinus issues... I swear... who gets allergies in the winter? I hate my immune system sometimes. I am however on antibiotics and feeling quite a bit better. Third, I was wanting to link up with Ash & Tay for their #blogmas14 (a 25 days of Christmas) link up, but honestly I am a little too big to be writing a letter to Santa. Sure, I could have had Lil Man write a letter, and then scanned it in, but every single time I ask the kid what he wants, all he says is a Max Tow Truck. Oh and it has to be blue... *side note: yes, me & the hubby have already bought it for him- so he better be surprised! ps... for a full list of prompts for their link up, go here! 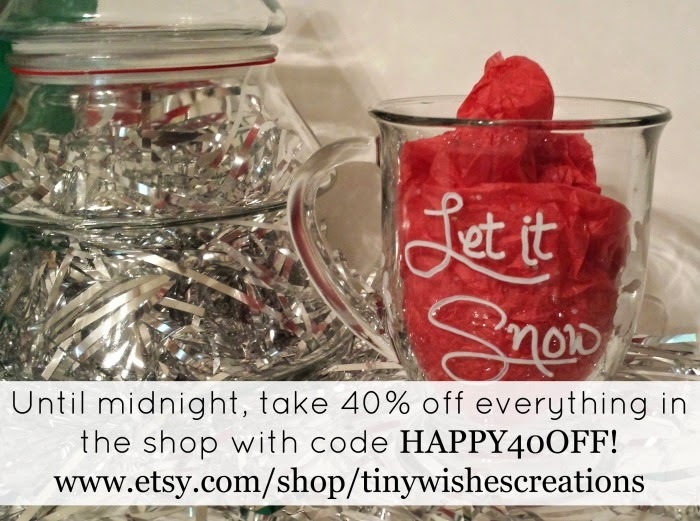 I ain't gonna lie... wine glasses, coffee mugs, & jewlery make awesome Christmas presents, and until midnight use code HAPPY40OFF for 40% off everything in my ETSY SHOP... btw that makes wine glasses $6 and mugs $7.20! Ready to buy? Click on the picture :) & HAPPY SHOPPING! two... Etsy Giveaway- $175 value! 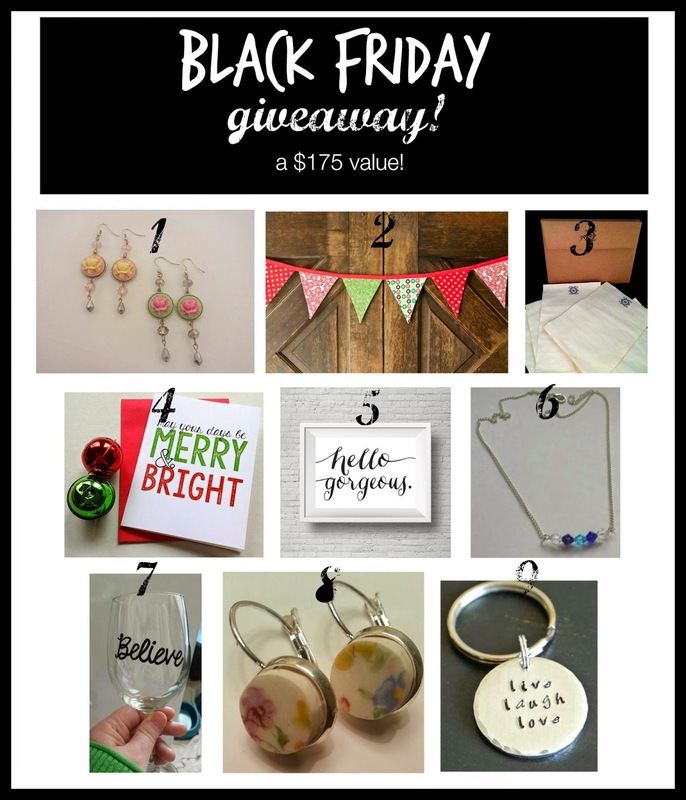 Let's celebrate Black Friday by supporting Etsy Shop owners with a huge giveaway valued at $175! 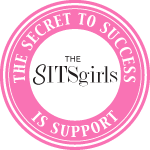 We truly have such a great group of ladies here that have made this giveaway possible! Please, grab a cup of coffee, meet these hardworking and creative shop owners, and check out what each adorable shop has to offer! 1. Amanda from Bangles & Bauble is giving away two pairs of handmade earrings! Bangles and Bauble is a jewelry line which creates fashionable handmade pieces. Using the latest trends as inspiration, Amanda likes to create her pieces to give a unique vibe that will accentuate outfits in a new way. Amanda uses durable material and purchases the majority of her supplies from Etsy retailers, which adds another element of "handmade" to her pieces! 2. Lena from Root and Blossom is giving away a handmade fabric bunting! Lena is a teacher turned SAHM who blogs over at Root and Blossom. Lena makes everything from buntings to headbands to baby mobiles and bibs! Lena's blog and shop are all about owning where you're at in life's journey and flourishing in it! 3. Jessica from A Little Loka is giving away two sets of coffee stained stationary! Jessica creates art prints, jewelry, holiday items, and more! She started her shop when she received overwhelmingly positive responses to her artwork. 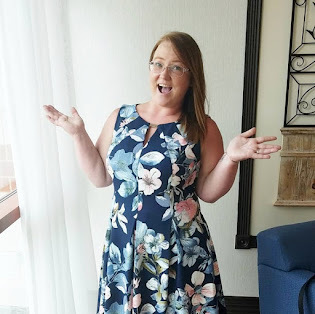 Jessica also blogs over at Living La Vida Holoka! 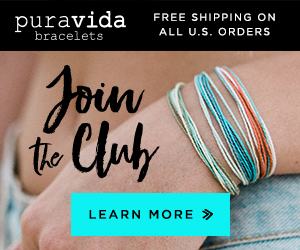 She is also offering 20% off now through December 28th with code WRTR20! 4. Chelsea from Marion Claire Stationery is giving away five holiday cards of your choice! This shop is named after Chelsea's grandmothers. She creates greeting cards with a perfect blend of heart and sass. Chelsea is inspired by her desire to keep snail mail alive, and she never misses an opportunity to send her friends and family a card. 5. Andrea from On Your Wall Prints is giving away $25 store credit towards her original prints! Andrea makes words come alive on paper and can turn words into decorations. Andrea sells downloaded artwork that is easy to print. They are excellent gift ideas or perfect for the days when you want to add some life to your walls! 6&7. Tabitha from Tiny Wishes Creations is giving away a custom birthstone necklace and a hand painted wine glass! Tabitha's shop features hand painted, heat cured glassware and jewelry. She is happy to work on a custom order with you, too. Tabitha is also a mom, wife, lover of pink moscato, and amateur photographer. Tabitha also blogs over at A Hundred Tiny Wishes! 8. Liz from After Dinner Designs is giving away a beautiful pair of earrings! She and her husband handcraft one of a kind pieces of jewelry, accessories, and home decor from bits of recycled plates, cups, and saucers. They love to create custom pieces from your own heirloom china, so contact them to discuss custom orders! Liz always blogs over at Liz Fresh Plate focusing on faith, food, family, and home! 9. Ashley from Ashley Lorren Designs is giving away a handmade "live laugh love" metal stamped key chain! Ashley specializes in metal stamped key chains, accessories and jewelry. All items are made to order, and custom orders are always welcome! Now for the chance to win all 9 prizes, a $175 value! All entries will be verified. Prizes may vary from images shown. Winner must be US resident for shipping purposes. Winner will be notified within two days of selection by e-mail. Winner must respond to e-mail within two days of receipt or a new winner will be randomly selected. Sponsors of raffle are eligible to participate. three... a $100 PayPal cash giveaway!!! it is that time of year where a little extra cash couldn't hurt anyone! 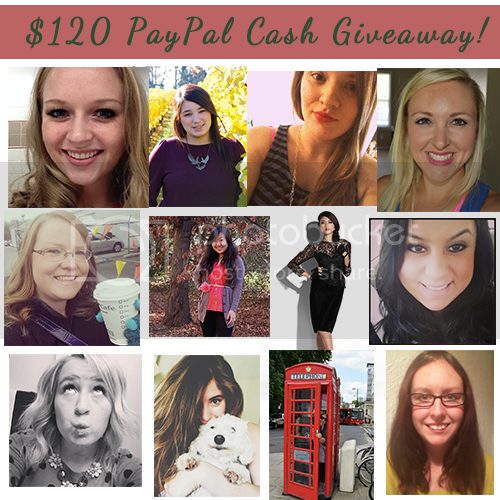 i have teamed up with a few darlings to bring you $100 in paypal cash! because we all know at this time of year, we all need it!! this giveaway is open to international and US residents and will be $100 US dollars, transferred into whatever currency. the giveaway will run dec 1 - dec 8! best of luck lovelies! happy holidays!! 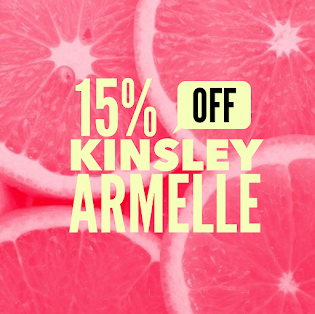 Happy shopping and GOOD LUCK on winning!